Tibet known as the “roof of the world” is becoming a more popular traveling destination in the world. Tibet tour 8 days / 7 nights is an adventure trip to the holy city of Tibet, Lhasa. Lhasa is a great starting point for any tour to Tibet. This capital city lies on the highest plateau of the world. In Tibet Lhasa means “The Land of Gods” and this religious place has lots of monasteries and temples. One of the reasons people are willing to explore Tibet is because of its unique landscape. Tibet is equally famous for its unique religion, culture, natural beauty and as well as history. Rich in cultural history, travel to Tibet is one of the lifetime experience. Tibet has the diverse culture, complex history, and impressive natural beauty. Thus, this place can be recognized as the divine place for Tibetan Buddhism. 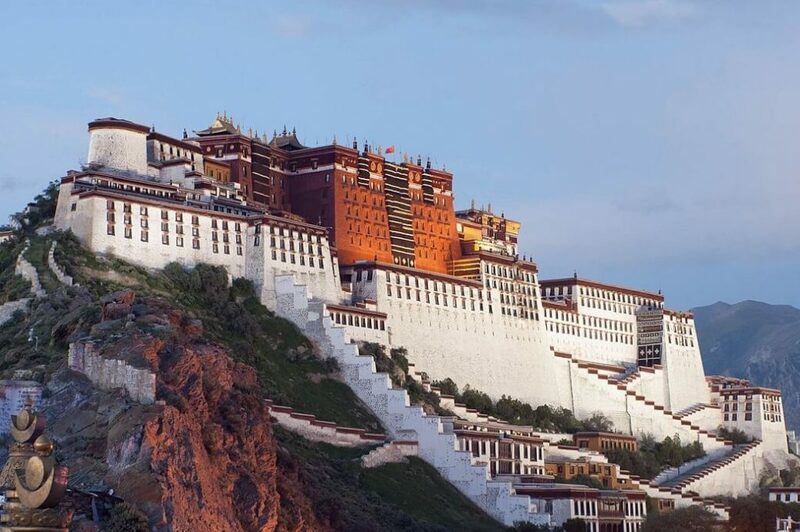 Many people visit Tibet to see the historic Potala Palace, which is deservedly a stand-alone destination. But, when visiting Tibet, make sure to set aside time to discover the popular city of Tibet Gyantse and Shigatse. A Tibet tour 7 nights/8 days will show you the ancient land of the Tibet and its remarkable variety of cultural wonders and diverse landscape to enjoy. Tibet is sure to leave any seasoned traveler speechless. Along the way, you’ll learn about the culture, traditions, and practices of the Tibetan civilization, a civilization of incredible history. All of our Tibet tours can be customized however you can see fit. You can also combine Tibet tour with Nepal, India or Bhutan. These places are easy to combine into one Tibet Travel Package. Here come interesting fact of this trip is you’ll get a plenty of time to visit the main sight in and around the town. Also, you’ll get a bonus with the great view of Everest from the north side while driving towards Gyantse and Shigatse city. During your time, our local guide will take you on daily excursions. This Tibetan tour is affordable. The opportunities are endless in Tibet. You can also have 9 days and 5 days options for Tibet tour. Early in the morning, you are transferred to the international airport of Kathmandu for the Trans-Himalaya flight to Lhasa. During this scenic flight, you'll get the wonderful view of Everest, Nuptse, Lhotse, Makalu and another peak en route. But the visibility depends on the weather conditions. After one and half hour flight you'll land at Gonggar airport 90 km from Lhasa, a holy city. Then our representative guide will receive you from the airport and drive to your hotel. In this short drive, you'll get a beautiful view of Lhasa River and Yarlung Zambo River. After checking in the hotel at Lhasa, you are suggested to take a rest to acclimatize at high altitude. If you feel comfortable with the altitude then you can go out to the Potala Square and enjoy the fountain view. Overnight in Lhasa. On the very first day of your Tibet tour, you will do sightseeing of Potala Palace, Jokhang Temple, and Barkhor market. Potala Palace was the primary house of Dalai Lama until 1959. Today it is stated as the museum and a UNESCO Heritage site. It is situated on the top of the Red Hill, at 3,700 meters above sea level. Thus, the views of the Lhasa city and distant snow-capped Himalayan mountain from the Potala Palace roof are spectacular. In addition to this, the beauty of its architecture, long-standing history, and great religious influence make this Palace famous around the world. Potala Palace has two main buildings: The Red Palace and the White Palace. The Red Palace is the tallest part of the palace and carries religious significance. It is entirely dedicated to the Buddhist prayer and religious study. The palace contains libraries, chapels, several halls, and passages. The White Palace has served as the living quarters since the reign of the 5th Dalai Lama. The wall of this palace is painted with white color to convey the message of peace and quietness. Here on the premises of palaces, you'll still find a number of Buddhists artifacts and local treasures. Potala palace resembles Tibetan Buddhism and also the school for religious training of monks. It is also a major pilgrimage destination for the tombs of past Dalai Lamas. Jokhang Temple is located in the center of old Lhasa city and surrounded by the Barkhor Street. Tibetan considered this temple the "spiritual heart of the city" and the most sacred in the Tibet. Many Buddhist pilgrims visit this holiest temple. It is also listed in the World Cultural Heritages with Potala Palace and Norbulingka. The roof of this holiest temple offers the splendid views of the Barkhor and the Potala Palace. The Jokhang hosts the Great Prayer Festival in every Tibetan New Year. During this festival, thousands of monks come to perform colorful religious activities. Visiting this sacred place, you can get close to the religious site of Tibet. Barkhor Market is also located in the old area of Lhasa City. Barkhor Street is a very ancient round street surrounding the Jokhang Temple. In this market, you can get Tibetan traditional and religious things. Overnight in Lhasa. On the third day of the tour, you'll do sightseeing of two biggest and famous monasteries of Tibet: Sera and Deprung and Norbulinka. Sera Monastery is one of the great three Gelug monasteries of Tibet. The uniqueness of this monastery is the Monks debate. This is a real spiritual class to practice and test their mastery of Buddhism. It will be your great honored to enjoy this debate and find some enlightenment on Buddhism. Drepung Monastery is another one of the great three Gelug monasteries of Tibet. It also equally carries religious significance in the history of Tibet Buddhism. This monastery is still one of the holiest monasteries for Buddhist and the famous Drepung Shoton Festival is also celebrated. Here many monks learn the classic Tibetan Buddhism. There are many statues, murals, Buddhist classic collected in Drepung monastery. On the third day, you’ll conclude your day tour by visiting Norbulingka, the largest man-made garden in Tibet. Here you can worship Buddha, relax and learn about the Tibetan-style palaces. Here you can also watch and learn the production process of Thangka (Tibetan scroll painting with silk embroidery). Also, you can enjoy the various activities such as shooting, singing, dancing, and archery. Also, many local people gather in this garden to have picnics and eat yogurt. On the fourth day of the Tibet tour, you'll visit the world's highest saltwater lake, Namtso Lake. Tibetan called this lake as the heavenly lake because of its lofty altitude, pure blue water, and spiritual associations. Many visitors come to admire the beauty of this lake from all over the world. On the same day, you'll also visit Yangpachen Hot Spring as it is very near to Namtso Lake. This famous geothermal hot spring lies on the southern slope of the Nyenchen Tanglha Mountains some 90 km to Lhasa. After enjoying the warm bath at 4,200 meters above the sea level you'll return to your respective hotel. Overnight at Lhasa. Note: Do not bathe in the hot spring for more than 20 minutes. It is suitable to visit all year around. 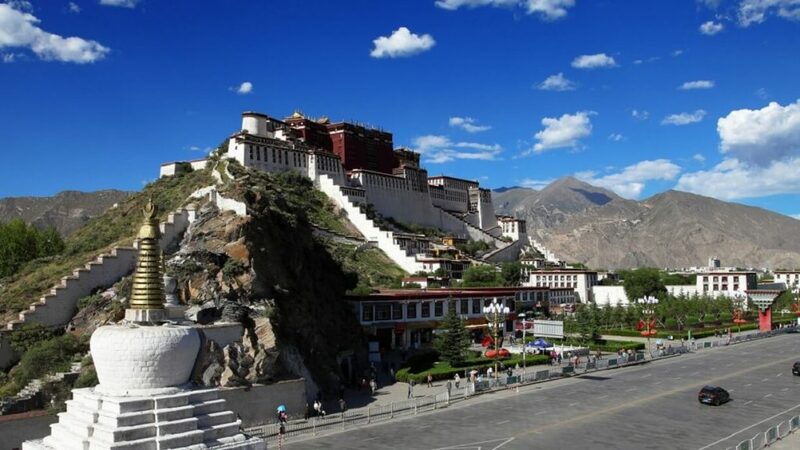 On the fifth day of the tour, you'll drive from Lhasa to Gyantse which is known as the "Heroic City". It was the site of the major battle during the British invasion in 1904. During this land travel from Lhasa to Gyantse, you'll enjoy the beautiful landscapes of Tibet and the rural life on the way. After the short scenic drive, you'll reach the holy Yamdrok Lake on the way. Here you will enjoy some distant scenery of fertile pastures of yaks and sheep and some Tibetan villages. 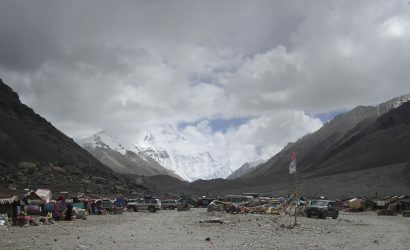 On the way not so far from Yamdrok Lake, you'll see the imposing Karola Glacier towering on the right side of the road. Continuing your trip, you'll reach the historical city, Gyantse. After having a good lunch and taking rest you'll visit the mysterious Palcho Monastery. It is a traditional monastery a combination of Han, Tibetan and Nepalese architecture and has both temples and stupa. This monastery is famous for the Kumbum Stupa having 100,000 figures of Buddhists statue in the chapels, niches, and wall paintings. At last, you'll conclude your day tour with the climb to the Dzong Fortress. Here you'll enjoy the panoramic views of Gyantse city. Overnight at Gyantse. On the sixth day of the Tibet tour, you'll drive from the Gyantse city to the Shigatse city, second largest city of Tibet. On this day you'll visit the famous Tashilhunpo Monastery of Shigatse city. On the way to Shigatse city, you'll visit a Pala Manor. Here you can learn about the living condition and tradition of old Tibet. It is only one aristocratic manor well-preserved in Tibet. It is used to be the private manor of Pala families since the 17th century. In this famous monastery, you'll see the well-preserved largest stupa of Jampa (future god) in the world. This monastery has been the traditional seat of successive Panchen Lamas who is one of the two most powerful leaders of Buddhists in Tibet. In the Tashilhunpo monastery, there are many erected buildings with golden glazed tiles. It also consists of interlaced red and white walls and Thangka Exhibit platform. During your visit to this monastery, you'll get a chance to visit many pilgrims from the different corner of the world. Overnight at Shigatse City. 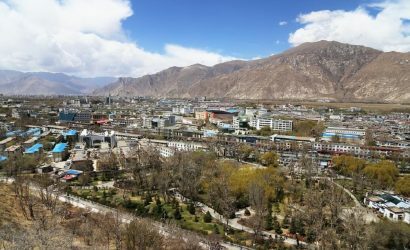 On the seventh day of Tibet tour, you'll visit some of the interesting places of Shigatse such as Sakya Monastery, Shigatse Carpet Factory, and Free market. Sakya Monastery is the ancestral monastery of Sakya school of Tibetan Buddhism. It is also known as the "Second Dunhuang". It has the rich collection of arts, historical relics, including more than 24,000 Buddhism books, 3,000 Thangkas, wall paintings etc. 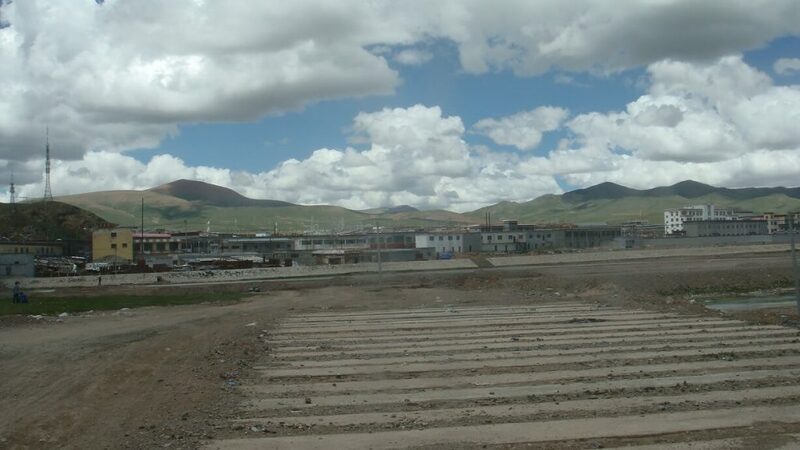 The Shigatse Carpet factory was opened in 1987 by the tenth Panchen Lama. In this factory, you can see how a Tibetan carpet is made and you can enjoy the whole process too. If time permits then you can visit the Free Market at Shigatse bustles. Here you'll find many vendors offering the selection of practical and souvenir items. If you want to purchases some fake antiques, religious objects, jewelry, and souvenirs then the market worth a look. Today is the last day of the Tibet tour and our representative guide will transfer you to the airport in time for your flight. The flight from Lhasa to Kathmandu takes 01 hours respectively.